My ears perked up at hearing this, because that is their default response whenever I hear someone announce their intention to do what the Bible says is impossible. There are two great things about that last sentence. The first is that it isn’t laden with heresy, which is always a plus. The second is that it speaks to a matter of focus. With the world scene edging perpetually closer to a global meltdown, it’s hard not to have the same curiosity as the apostles and wonder, “Lord, will you at this time restore the kingdom to Israel?” (Acts 1:6). The apocalyptic end of human civilization as we know it is one of those things that would be really nice to have marked on our calendars—so when Christ replies, “It is not for you to know times or seasons which the Father has put in His own authority” (Acts 1:7), it’s hard to keep from taking a couple educated guesses anyway. But we don’t know. We can’t. It certainly looks like God is lining up events to bring about the end times, but His people have literally thought that since the moment Christ ascended back into heaven. Paul even wrote about “we who are alive and remain” (1 Thessalonians 4:17) at Christ’s coming, indicating Paul believed that he would witness Christ’s return in his own lifetime. He was wrong, of course, and we could be too—and the most important part is, that’s not the most important part. You and I, if we hold fast to our calling, are going to see Christ the moment after our last heartbeat. When that last trumpet sounds, it doesn’t matter if we died ten thousand years beforehand or if we’re still living and breathing—our next moment of consciousness will be that of a spirit being belonging to the family of God. The “when” doesn’t matter. What matters is that it’s coming. Make no mistake: that last trumpet will sound. The only question is whether or not you and I will be ready for it. Because the Christian journey isn’t a matter of studying for a final exam—as if we could wait until the very last minute to cram ourselves full of the right kind of character and then pass the test for entering the Kingdom of God. No, for converted, baptized Christians, the final exam is NOW. Peter wrote, “the time has come for judgment to begin at the house of God” (1 Peter 4:17). We know that the rest of the world will have the opportunity to learn and accept God’s way after Christ’s return, but not us. Our time is now. Today. And when that trumpet does sound, if you aren’t being caught up in the air with the rest of the newly transformed saints, you missed the boat—your time is up. The five foolish virgins were in earnest when they begged to be let into the wedding (Matthew 25:11-12), but because they squandered their time in an unprepared state, they lost their opportunity. One day, that final trumpet blast will reverberate across the heavens and serve as a wakeup call for all those asleep in Christ. Today, the Feast of Trumpets that pictures that day ought to serve as a wakeup call to “we who are alive and remain”—our time is now, and it’s only getting shorter. If we want to be there on the day God calls forth His sons and daughters from their graves and into eternal life, then we need to get our act together today. 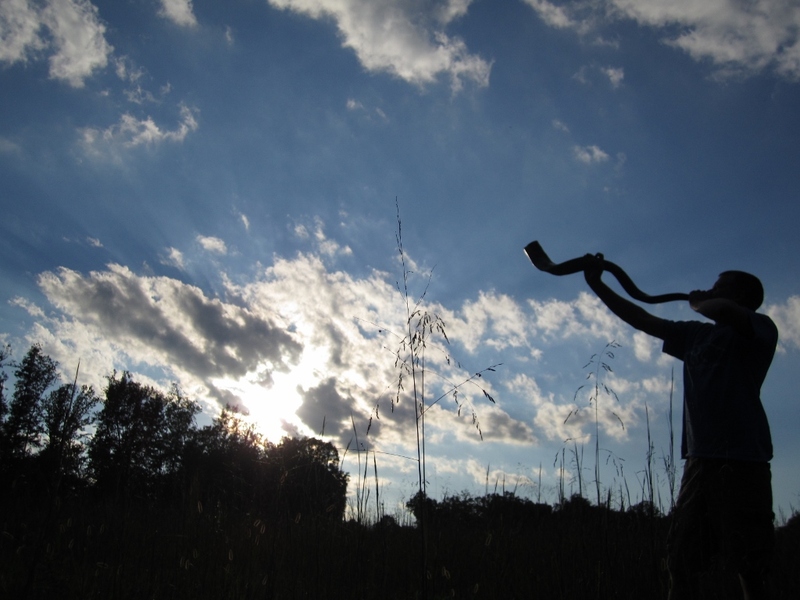 The trumpet will sound. Will you be ready? 2 Responses to "Mini-Thought: The Last Trumpet"
Thank you so much, I needed to read this.